King’s Court With Owen Hart- Owen talks about how proud he is that he caused his brother to lose the title a couple of months ago. Double J vs. Scrub- Double J is supposed to sing after the match but doesn’t like how the microphone and lights are set up so he leaves. Bam Bam Bigelow and Tatanka vs. Lex Luger and British Bulldog- Everyone wanted a rematch since the last one ended in a Double DQ. 1/9 2nd Anniversery Show with Shawn Michaels Commentating. IC Title Match: Owen Hart vs. Razor Ramon- Match ends when Bret Hart comes out and attacks Owen. Hakushi vs. Scrub- Hakushi’s WWF debut. King’s Court With William Shatner- The King tries to get in a cheap shot but Captain Kurk is one step ahead of him. Tuxedo Match: Harvey Whippleman vs. Howard Finkle- Yep, just like an evening gown match, only with these guys. Mantaur vs. Scrub- Pretty much scrub vs. scrub because this guy didn’t last long. Royal Rumble Report- Features an interview with Double J. 1/23 Raw in Palmetto, FL, Night After Royal Rumble. Shawn Michaels Commentates. Tag Team Title Match: Smoking Gunns vs. 1-2-3 Kid and Bob Spark Plug Holly- The new tag team champions from the Royal Rumble lose their titles here. 1-2-3 Kid Interview- He and his tag team partner want a rematch. King’s Court With Double J- Interview with the man who won the IC title from Razor Ramon last night and now he challanges Diesel for the WWF Title. Bam Bam Bigelow Interview He “apologizes” to Lawrance Taylor for pushing him at the Royal Rumble. Instead of saying that he way sorry, he challanges LT to a match. Tag Team Title Match: 1-2-3 Kid and Bob Spark Plug Holly vs. The Smoking Gunns- The match ends when the Kid injures his shoulder. Kama vs. Scrub- The debut of The Godfather! (And the return of Papa Shango). Man Mountain Rock vs. Scrub- His debut. King’s Court With Shawn Michaels- The Heartbreak Kid feels that he is a marked man so he decides to bring in a new body guard and the return of, Sycho Sid. He sure does spit a lot during his interviews. Diesel Highlights- Highlights of Diesel at the NBA All Star Weekend. WWF Title Match: Double J vs. Diesel- Diesel dominates almost the whole time, making Double J look weak. Diesel also gives the Roadie a jacknife powerbomb. Lawrence Taylor/Bam Bam Bigelow Interview- LT talks about what happened at the Royal Rumble and the two argue at each other. Shawn Michaels vs. British Bulldog- Who always wins when these two face each other? So who do you think won this one? 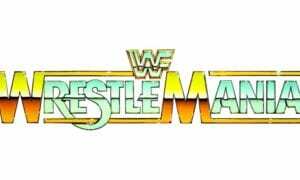 WrestleMania 11 Conference Highlights- Sets up the main event matches for WrestleMania with interviews from Diesel, Shawn Michaels, Bam Bam Bigelow, and Lawrence Taylor. Steven Dunn vs. Duke The Dumpster Droese- Jerry The King Lawler calls in and talks about his match that he will have with Bret Hart next week. 3/13 Raw in Stockton, Ca (My Home Town)!!! Steve McMichael/Kama Brawl- McMichael is commentating during the last match when Kama comes and taunts Steve and the two brawl. Shawn Michaels/Diesel Highlights- Shows video clips of these two, leading up to their match next week at WrestleMania. Bam Bam Bigelow/Lawrence Taylor Highlights- See the review from above. NO DQ: Owen Hart vs. Bret Hart- Bret Hart gets Owen Hart to tap out in the sharp-shooter. Diesel Interview- Big Daddy Cool is giving Shawn a rematch in this show and tells HBK to come to the ring without Sid because he probably was the reason why Michaels didn’t win the title last night. First In Your House Promo- You could win a house!!! All you have to do is watch the First In Your House. What a lame idea. Shawn Michaels/Sycho Sid Interview- Big Spot here in WWF History. Shawn Michaels tells Sid to go in the back during the title match but Sid doesn’t like that. Raw goes to commercial and when they come back, HBK is laying in the ring, not moving, and Diesel comes out to his aid. So what happened during the break?? Tune in next week to find out. Sid/HBK Highlights- Ok, you didn’t have to wait a week, just scroll down a little. It shows Sid powerbombing and attacking HBK and leaving him in the ring. Sid turns on Michaels. Sid/HBK Highlights- Complete highlights of what happened last week where Sid powerbombed HBK 3 times, thus turning Michaels mega-face when he comes back in a couple of months. WrestleMania Highlights- Highlights of all the football players that were involved. Duke Droese vs. Jean-Pierre LaFitte- LaFitte’s debut. Bob Backlund Interview- This guy is a nut. Million Dollar Corporation Highlights.- Sycho Sid becomes the newest member. In Your House Report- The Main Event for the first In You House will be Sid vs. Diesel for the WWF Title. WWF Title Match: Bam Bam Bigelow vs. Diesel- The Million Dollar Corporation come out after the match and attack Bam Bam for not winning the title. Diesel runs back in for the save. Hunter Hearst Helmsley Screen Shot- I thought this was HHH’s first promo but the camera was only on him for about 5 seconds and he didn’t say anything. He just sat in a chair, in his mansion. Weird. Sycho Sid vs. Razor Ramon- Match never happens. Sid attacks Razor during his ring entrance and Diesel makes the save again. Hunter Hearst Helmsley Promo- I guess this is his first promo. Too short though. Bret Hart/Jerry The King Lawler Interview- Bret says he will wrestle Hakushi and then Lawler at In Your House. Bam Bam Bigelow Interview- Tries to give a face interview. Jerry The King Lawler vs. Bret Hart Highlights- From Last night at IYH #1. In Your House Highlights- Highlights of the guy who won the house. Bob Backlund- He announces that he will run for president. Shawn Michael Music Video- HBK is returning next week!!! 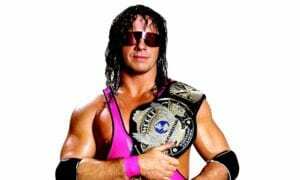 Bret Hart Interview- Bret wants a rematch with Jerry Lawler. He wants it so bad that he begins to brawl with him while he sits at the announcers table. Hunter Hearst Helmsley vs. Scrub- HHH makes his debut as he wins with a Diamond Cutter type move! He looks so small compared to how he looks now. Bob Backlund Interview- Says what he would change and do if he was president. King Kong Bundy vs. Shawn Michaels- Shawn Michaels returns since being out 6 weeks ago, thanks to Sid. HBK gets a great crowd reaction. You can tell Michaels is really pumped up for this match by all his antics as he picks up the win. Diesel and Bam Bam Bigelow come out and HBK and Diesel reunite their friendship with a high five. Hakushi vs. Scrub- Hakushi bring a bag to the ring and pulls out a head look-a-like of Bret Hart. Reminded me of Sub_zero from Mortal Kombat when he ripped off his opponent’s head. Savio Vega vs. Scrub- Savio’s Raw debut. Sunny/Skip Promo- This is a kind of promo where if Tammy and Chris where to look back and see, I think they would be very embarressed of. Skip vs. Barry Horowitz- Skips and Sunny’s debut. Jerry The King Lawler Interview- Says he hasn’t washed his feet in 2 weeks and doesn’t plan to until he faces Bret Hart in a “Kiss My Foot” Match at the King Of The Ring. Bam Bam Bigelow vs. Scrub- Diesel calls in. Waylon Mercy’s First Promo- This guy was horrible, remember him? Hunter Hearst Helmsley vs. Scrub- I bet it was really annoying for Hunter to walk out in a suit before he wrestled and then take it off every match. Shawn Michaels vs. Scrub- Michaels wins with two superkicks as Kama, Undertaker, and Mable come to the ring. What’s going to happen this Sunday at King Of The Ring!!!??? Nothing happened really but oh well. Jerry The King Lawler Interview- Gives the interview outside of his dentist’s office, Isaac Yankem D.D.S. I guess you could call this his first promo. King Mable vs. Scrub- Now that Mable won the KOTR last night, he names himself, King Mable. IC Title Match: Savio Vega vs. Double J- The Roadie gets involved with Shawn Michaels so HBK comes in and cleans house on him and Double J. The end of this match has some bad tracking problems, only the last 2 minutes or so. 1-2-3 Kid vs. Scrub- The Kid’s return! In Your House Report- Shows footage of Double J challenging Shawn Michaels to an IC Title Match from last week when Raw went off the air. The match will take place at In Your House (2). Double J Music Video- The debut of the video, With My Baby Tonight which was really sung by his Roadie, Jesse Jammes. Waylon Mercy vs. Scrub- That scrub is Jeff Hardy sporting short, blonde hair. I guess Mercy’s gimmick is that he acts nice but he destroys his opponents and shows, “no mercy”. Jerry The King Lawler Interview- This interview is in the office of his dentist, Isaac Yankem. We see his face for the first time for his second promo. Barry Horowitz Highlights- After many years of jobbing, he wins a match against Chris Candido, known at this time as Skip. Hunter Hearst Helmsley vs. Matt Hardy- Hardy has short hair and is a jobber at this time. Diesel Interview- Sycho Sid comes out but nothing happens as all the lumberjacks are standing outside of the ring. 7/24 Night After In Your House 2 and Debut of the Raw Set with the Letters, “R A W” in Front of the Entrance Way. Goldust’s First Promo- Promo was only 3 seconds. Phatu Promo- Shows some clips of his hometown. I don’t know why but he is. King Mable Interview- Challenges Diesel to a match at SummerSlam. Hakushi vs. Bret Hart- Good match with Hakushi flying all over the place. Dean Douglas First Promo- Pretty dumb, teacher gimmick that he is going to use. Jerry The King Lawler/Shawn Michaels Interview- The two yell at eachother and say they want to beat each other up. Dean Douglas Promo- Reviews Bam Bam Bigelow and gives him an F.
SummerSlam Report- Remember these days? When the WWF had their PPV cards planned out early so people knew who would face each other at ppvs? It’s not like that any more. Tag Team Title Match: Razor Ramon and Savio Vega vs. Owen Hart and Yokozuna- A rematch from last week. Sir Mo vs. Diesel- Mo was such a scrub. King Mable and Shawn Michaels come out to the ring and brawl after the match. Goldust Promo- This is his first promo where you get to see and hear him talk as he stands out in front of Hollywood! I’m not sure what he says but it’s not really important. Henry Godwinn vs. Scrub- Dumps his bucket of whatever it is on Ted Dibiase before the match. Dean Douglas Promo- Reviews Bret Hart and gives him an F.
Hunter Hearst Helmsley vs. Jeff Hardy- Jeff Hardy is growing out his short hair. If you haven’t seen Hunter’s matches during these days, you need to. Jerry the King Lawler vs. Shawn Michaels- Psycho Sid comes in and causes a DQ. Razor Ramon then follows and attacks Sid. HBK and Razor exchange some heated words and then Diesel comes in to keep them apart. Most of the Clique are in the ring! Dean Douglas Promo- Reviews King Mable and gives him an “N C” for new champion at SummerSlam. Diesel/British Bulldog Interview- Bulldog says that Lex Luger has an appointment down in Atlanta. I guess this was when Lex went to WCW. Diesel and British Bulldog vs. King Mable and Sir Mo- Bulldog nails Diesel from behind and turns heel here. He then slaps him around and powerslams him, setting up their soon-to-be feud. 1-2-3 Kid/Razor Ramon Interview- The two argue about each other costing them the match. The Kid challenges Razor to a match and begins his heel turn here. IC Title Match: Psycho Sid vs. Shawn Michaels- HBK wins with 3 superkicks on Sid. Shawn Michaels/Diesel Interview- “We’re not only Two Dudes With Attitudes, but we’re also The Chaps With All The Straps” – Diesel says this, even though they don’t have the tag titles but they will get a shot at the next In Your House. 1-2-3 Kid vs. Razor Ramon- Dean Douglas comes in and attack Razor, allowing the Kid to pick up another win over The Bad Guy. Marty Jannetty vs. Skip- Marty returns as Skip has already become a jobber. Tag Team Title Match: Smoking Gunns vs. Owen Hart and Yokozuna- Smoking Gunns win the titles again here. British Bulldog vs. Undertaker- King Mable causes a DQ and attacks the Undertaker. Several wrestlers come in to clear the ring. Shawn Michaels and Diesel dance in the ring. Razor Ramon vs. 1-2-3 Kid- Razor actually beats the Kid 3 times here as they had 3 matches. It looked like Ramon knocked some sence into the Kid and they leave the ring together. Barry Horowitz vs. Hunter Hearst Helmsley- Horowitz actually gets a crowd reaction and it looks like he may steal another win here but doesn’t. PG-13 vs. Two Scrubs- Basically scrubs vs. scrubs but they were somewhat known for their time with the Nation a year later so he is their debut. Bret Hart vs. Jean Pierre LaFitte- Good match with a lot of action. Jerry Lawler and Isaac Yankem come in and attack Bret after the match. Owen Hart, Yokozuna, and British Bulldog vs. Undertaker, Diesel, and Shawn Michaels- The Bulldog pins Diesel to set up their match at the next In Your House. After this match, the heels destroy the babyfaces with the help of Kind Mable and Dean Douglas. Mable leg drops UT several times which would cause him to miss several weeks. Bret Hart/Jerry The King Lawler/Isaac Yankem D.D.S. Highlights- Shows highlights from their brawl last week and the Bret Hart vs. Isaac Yankem match from SummerSlam. Dean Douglas vs. Scrub- Shawn Michaels calls in during the match. Steel Cage Match: Isaac Yankem D.D.S. vs. Bret Hart- Jerry Lawler said before the match he had the key to victory. He changed the lock on the cage so the referee had the wrong key. Lawler decides to gets involved and is put into a cage held above the ring. 20 Man Battle Royal- Includes many midcarders. Owen Hart wins and will face Razor Ramon next week on Raw for the IC Title. Avatar vs. Scrub- His debut as he takes off his mask to reveal himself as… well, we know him now as Al Snow. WWF Women’s Title: Alundra Blayze vs. Bertha Faye- Blayze wins and regains the title, as if anyone really cared. Savio Vega vs. Goldust- Goldust’s Raw “Premier” (debut)! IC Title Match: Owen Hart vs. Razor Ramon- Good match but I could have sworn that the ref does a 3 count but Razor didn’t kick out so he had to do a near 4th count. Yokozuna causes a DQ and 1-2-3 Kid and the new comer, Ahmed Johnson come in to make the save. Ahmed kind of slams Yokozuna like Lex Luger did years ago but this is a bit more impressive due to how much weight Yokozuna has put on since the summer of 1993. Henry Godwinn vs. Scrub- Hunter Hearst Helmsley comes in after the match and attacks The Godwinn. Jerry The King Lawler and Isaac Yankem D.D.S. vs. Bret Hart and Hakushi- Weak finish. Hunter Hearst Helmsley vs. Henry Godwinn- Not really a match. Henry dumps a bucket a slop on himself and Hunter runs away in disgust. Ahmed Johnson vs. Scrub- Ahmed’s WWF debut! He had a decent career but if he could have just stayed healthy and knew how to execute wrestling moves properly and not injure everyone, he could have had a great career because he had the charisma. Psycho Sid vs. Razor Ramon- 1-2-3 Kid- is the referee and turns his back on Razor Ramon by helping Sid win the match and finally turns heel here after months of teasing. Ted Dibiase/1-2-3 Kid/Psycho Sid Interview- Marty Jannetty comes in to “settle the score” with the Kid but Sid powerbombs him on the outside instead. Diesel Interview- He decides to interrupt the last match and do a “shoot interview” saying that he will no longer be a corporate puppet! Also says to the fans, if you have on a black glove, he will slap your hand. I guess that’s kind of a cool concept. Owen Hart vs. Shawn Michaels- Remember this match? I’m sure you have heard about it from your friends. Owen Hart kicks Shawn in the head and he collapses during the match. Looked as real as they could make it look. Brother Love Show with Bret Hart- This Brother Love dude sounds like Paul Bearer. Bob Backlund comes in after the interview and puts on the crossface chicken wing. Psycho Sid vs. Marty Jannetty- 1-2-3 Kid and Razor Ramon run in. Owen Hart vs. Jeff Hardy- Owen and Yokozuna attack poor Jeff Hardy after the match and Diesel runs them off. Shawn Michaels Interview- Shawn gets upset when Todd Pettengill (sp?) asks him about a possible early retirement. Bob Backlund vs. Bret Hart- British Bulldog comes in and attack Bret Hart. Jeff Jarrett vs. Phatu- He comes out saying that he’s in the house “4 life” while doing the little nWo hand signal thing? Hmmm…. 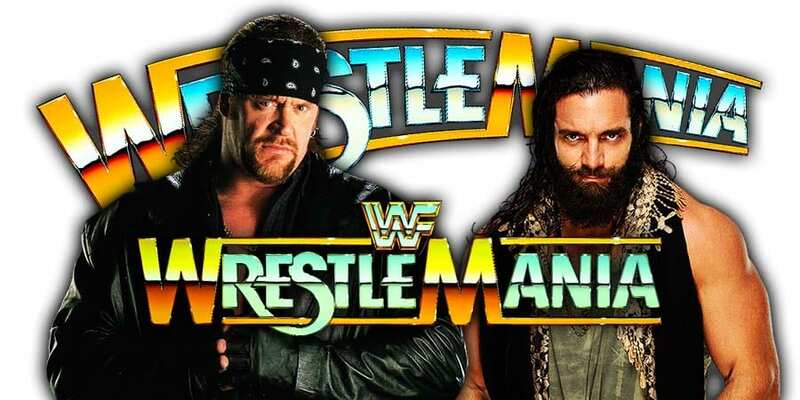 Gorilla Mansoon Interview- Says that Undertaker will face Bret Hart at the Royal Rumble for the WWF Title. Goldust Interview- Talks about Razor Ramon which started their feud. IC Title Match: Yokozuna vs. Razor Ramon- Undertaker comes to the ring and Yokozuna runs away scared. Shawn Michaels Music Video- Video done in belief that his career may have been over entitled, “Tell Me A Lie”. 03. The Smoking Gunns vs. The Heavenly Bodies.